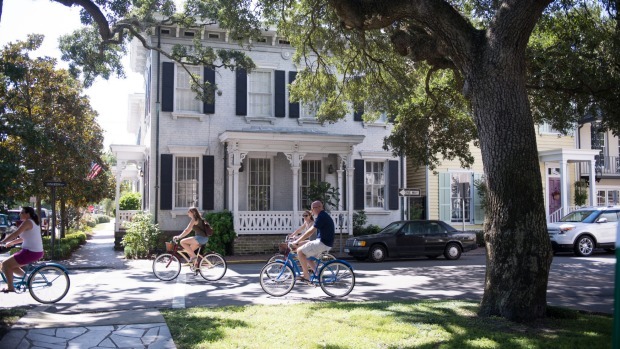 Seductive Savannah, draped in Spanish moss, rich with significant historic buildings, shaded squares and cobblestone streets, has evolved from isolated backwater languishing in Charleston's shadow, to sophisticated southeast coast culinary destination. 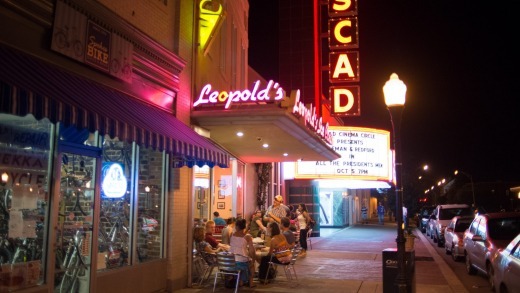 The last of Britain's colonial capitals and America's first planned city has benefited hugely from the establishment of the Savannah College of Art and Design (SCAD) in 1978. 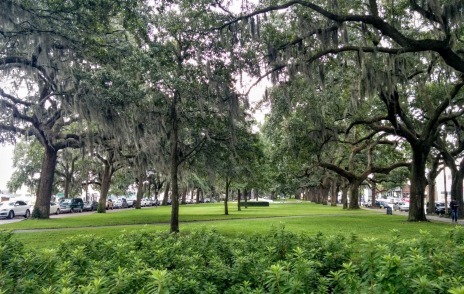 SCAD has drawn a rich cornucopia of creative talent to a city already blessed with natural beauty. This creativity has nurtured the city's cultural rebirth with sweeping architectural restoration and thriving film, book and music festivals. And where cultural revival goes, so follows culinary excellence, especially since this port city on the Savannah River, 32 kilometres upriver from the Atlantic has an abundance of local seafood. The robust locavore culture is evident in the city's restaurants from the elegant nouvelle low country cuisine of a.lure, Elizabeth on 37th and modern Italian The Florence to traditional down-home Southern favourites like Mrs Wilkes' Dining Room to Australian-run brekkie and coffee spots like Collins Quarter. 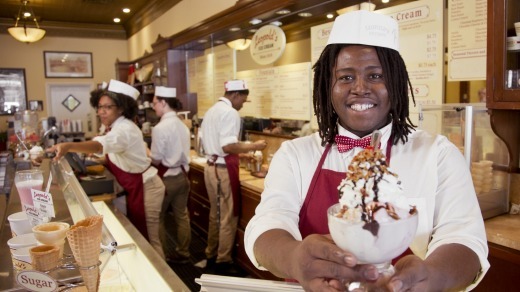 Throw in great bars, chocolate shops, ice-cream parlours, bistros, cafes and takeaway joints and there's every opportunity for a delicious Savannah sojourn – just loosen your belt. Elizabeth on 37th in an elegant Southern mansion focuses on light, contemporary Southern fare that features local seafood and produce, house-grown herbs and edible flowers. Executive chef Kelly Yambor fashions an entirely seasonal, delicate menu with nightly specials. 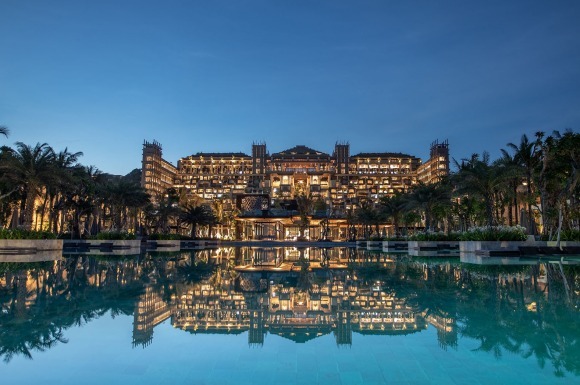 You might try the pan-seared Virginia sea scallops topped with tuna tartare, the Half Moon river clams with roasted Vidalia​ onions, country ham and truffle oil, the spicy Savannah red rice with Georgia shrimp or the Harris Ranch pepper crusted beef tenderloin. There's also a seven-course $US90-a-person tasting menu. See elizabethon37th.net/home.htm. 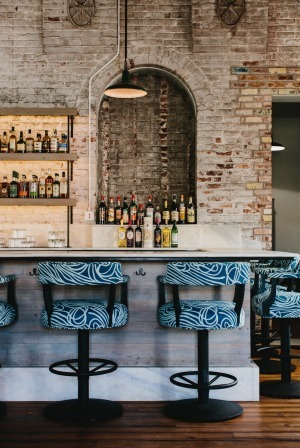 Right in the middle of the historic district, a.lure offers modern low country cuisine from the low country. Owner Daniel Berman's inspiration springs from memories of home-cooked meals, his adoration of fresh seafood and his farm-to-fork philosophy. Seafood comes from local Savannah fishermen, Florida and the Carolinas. Meat is from the Hunter Cattle farm in Statesboro, Georgia, which specialises in grass fed and hormone-free livestock. It's hard to go past the fried green tomatoes with Cajun remoulade, pickled and grilled green tomato salsa and balsamic gastrique, or the shrimp NOLA – lightly blackened local shrimp, red bean puree, rice cake, red eye gravy, gumbo file crème fraiche and pickled shallots. Or maybe the low country boil or the slow-braised Niman Ranch pork shank with roasted garlic goat cheese grits, charred tomato demi glaze and haricots verts. Choices, choices. Plus nice cocktails and belt-easing desserts. See aluresavannah.com. Award-winning chef and Georgia restaurateur Hugh Acheson's philosophy blends the beauty of Southern cooking with the flavours of Europe. Just page through one of his cookbooks – A New Turn in the South: Southern Flavours Reinvented for your Kitchen. 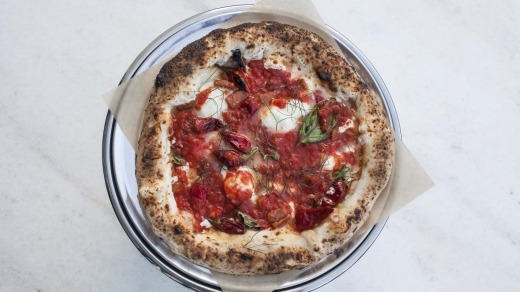 The Florence is the newest of his Georgia restaurants, following the success of critically acclaimed Five & Ten in Athens, Georgia, The National also in Athens and Empire State South in Atlanta. 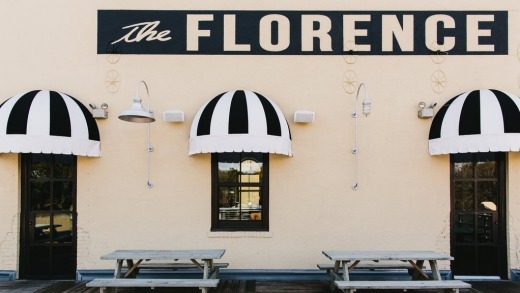 Apart from the food, I'm drawn to the charming fact that The Florence is a tribute to Savannah's own Florence Martus, aka The Waving Girl. You will see her lovely sculpture on the riverfront; waving her handkerchief at passing ships, hoping for the return of her long-lost love. Cynics say she was merely plying her trade. I'm going with The Florence's whimsy of dedicating themselves to food and community as Florence did innocently to passing ships. The restaurant is south of Forsyth Park on Victory Drive in a restored ice-cream factory from the 1800s – not central but worth the trip. Executive chef Kyle Jacovino turns out share plates including pesce misto and bruschetta, pasta en casa and interesting pizzas and mains like pecan & sorghum pork ribs with brussels, mustard seeds, bacon, mustard greens and polenta. See theflorencesavannah.com. Local 11ten benefits from its creative director and managing partner both springing from SCAD. The restored 1950s bank is stylishly renovated with a chic ambience, assisted by regularly changing artworks. Cuisine by executive chef Brandy Williamson is French-inspired contemporary southern cuisine with emphasis on local and seasonal ingredients. For those wearying of seafood, there's a good choice of braised bison short ribs, seared duck breast, beef and bone marrow potpie, grilled ribeye or Korean bbq beef ribs. There's also an excellent rooftop bar, Perch. Try the 11ten Manhattan, or maybe the Hemingway daiquiri. See local11ten.com/. Other noteworthy restaurants include Cha Bella, Circa 1875, 700 Drayton, The Olde Pink House, 45 Bistro, Noble Fare and Sapphire Grill. Mrs Wilkes Dining Room is a Savannah lunch institution. And you may need admission to some kind of slimming institution after eating here, all for the remarkable price of $US22 (half price for children under 10). There are many Savannah contenders, including Paula Deen's Lady & Sons, but I'm leaning towards Mrs Wilkes for homestyle Southern cooking. Some rules: Starve beforehand, no reservations – queue from about 11.30am, cash only, communal tables, open strictly between noon and 2pm, and take your dirty plate to the kitchen. You'll be in good company – President Obama and his entourage lunched here – his hallowed chair is memorialised. And even presidents clear their own plates. In 1943, a young Sema Wilkes took over a boarding house in historic downtown Savannah, offering comfortable lodging and homestyle meals in the downstairs dining room. 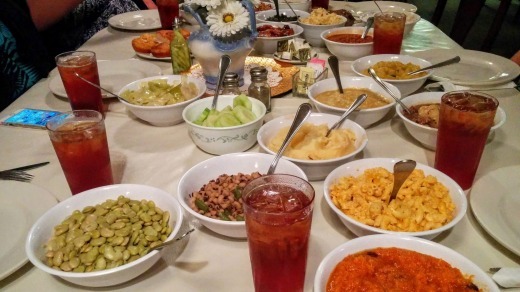 Mrs Wilkes' descendants now run it, serving original recipes – Southern fried chicken, beef stew, meatloaf, collard greens, macaroni cheese, black eyed peas, sweet potato soufflé, corn bread, candied yams, butter beans, rice and gravy, pickled beets, okra and tomatoes, potato salad, apple salad, coleslaw and more – tuck in after the traditional blessing. There's no alcohol but (extremely) sweet iced tea or water. Dessert is peach or banana cobbler. All you can eat in about 45 minutes. Don't miss this Southern tradition. See mrswilkes.com/. Three Greek immigrant brothers, George, Peter and Basil Leopold, founded Leopold's Ice Cream in 1919 and generations of Savannahians have indulged in their delicious homemade concoctions. Moon River crooner Johnny Mercer grew up a block from Leopold's and was a faithful customer. So faithful, he wrote a song about Leopold's famous Tutti Frutti ice-cream. Peter's son Stratton produced Hollywood films like Mission Impossible 3, and worked on other blockbusters like The Big Chill. Stratton and his wife Mary began running Leopold's again in 2004. Look out for fixtures from the original parlour like the black marble counter and the original soda fountain. Movie memorabilia from Stratton's career is everywhere. See leopoldsicecream.com. If you're homesick for an Aussie brekkie, visit Collins Quarter run by Melburnian Anthony Debreceny. What a delight to enjoy a decent Toby's Estate flat white and outstanding smashed avo with feta, heirloom tomatoes, micro herbs and poached egg. Or there's Leo's Aussie brekkie, Bircher muesli, lemon ricotta hotcakes and a mean brisket burger with caramelised onion, aioli, cheese, Dijon slaw and hand cut chips. Also open for brunch, lunch and dinner. See thecollinsquarter.com/. You could also try Soho South Cafe or The Sentient Bean. It's not an art gallery but Chocolat by Adam Turoni could well be. Named one of North America's top 10 chocolatiers, Turoni, who started his career in his grandmother's kitchen aged eight, displays his toothsome works of art in two shops in Savannah's historic heart – The Library and The Dining Room. Browse this fairyland of sculptural truffles, toffees and all manner of gold-leafed, embossed and gorgeously gift-packaged edible gems. See chocolatat.com/. Zunzi's Take Out is a little hole in the wall (with queues) that combines South African, Swiss, Dutch and Italian flavours thanks to its owners' different cultural backgrounds. Make your way to the Y-front South African flags festooned outside and order boerewors (South African sausage) on a roll with onions, gravy and mustard. If you dare, also order the Godfather or the Conquistador sandwiches for truly American-sized portions. Eat in nearby Oglethorpe Square, and then waddle home happily. See zunzis.com/. Our hilarious Old Savannah Tours trolley guide, Hollywood, tells us that Savannah is all about "peaches, praline, pecan (not pee-can!) and Paula Deen – the true South in your mouth". True, but you will find that this fine city has much more to offer. Qantas flies from Sydney, Melbourne and Brisbane via Dallas to Savannah; see qantas.com. Presidents' Quarters Inn in the historic district has doubles from $189, includes breakfast, happy hour, Wi-Fi; see presidentsquarters.com.